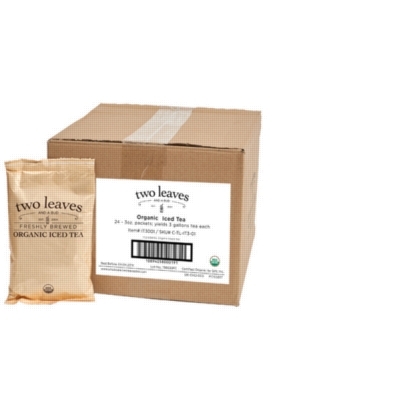 Two Leaves 3oz Loose Leaf Tea is a delicious way to make premium organic iced tea at home in your iced tea brewer. Organic Black is the essential iced tea: complexity of flavor in a smooth, but robust, classic black iced tea. It will be your new favorite drink! USDA Certified Organic.